The man who said this paid $500 for his purebred Lab. Obviously, he’s willing to spend money on things he enjoys, like hunting dogs. Yet when it comes to paying cold hard cash for a cat, he draws the line. So, apparently, do a lot of other people. I have quite a few clients who are happy to spend hundreds of dollars for a particular breed of dog. I don’t know of a single client who has ever spent that much for a particular breed of cat. Except my wife. Marcia has just begun breeding and selling Balinese cats, worth $1,000 each. She asked me why people are so much more willing to write checks for purebred dogs than they are for cats. She didn’t buy my argument that dogs are inherently more intelligent, friendly, and worthwhile than cats. If that isn’t the explanation, what is? Maybe it’s because the basic reason people buy purebred dogs or cats is to get specific looks and personality traits. Most dog breeds are quite distinct; anyone can tell a Great Dane from a Bichon Frise. Yet the only cat many people even recognize as a separate breed is probably the Siamese. Maybe dogs are seen as more useful. I don’t know of any hunting cats, Seeing Eye cats, or watch cats. Still, that doesn’t explain all those Chihuahuas and tiny terriers that sell for hundreds of bucks a pound. The point here is that whether a given commodity is seen as valuable depends on a variety of factors. Utility is one. In early Deadwood, Dakota Territory, an enterprising freighter brought in a load of cats and sold them at a premium to pioneers desperate for mouse and rat control. In that case, cats were more valuable than dogs. Supply and demand is another factor. A house that’s worth $150,000 in Box Elder, South Dakota, might be worth $600,000 in San Francisco, where unarguably more people would like to live. When there’s an over-abundance of cheap goods in the form of unwanted kittens flooding the market, people may be less likely to pay real cash for even purebred cats. Another reason people value one commodity over another is that they have been persuaded to see it as worth more. In Biblical times, frankincense and myrrh were highly prized and worth their weight in gold. Today, one pound of frankincense and myrrh goes for $13.95 on Amazon, while one pound of gold sells for around $24,000. Fifteen times more gold is mined each year than platinum, the rarest of all precious metals, yet gold sells for more per ounce. Why? Gold has a long history of being perceived as the world’s most precious metal. For much the same reason, people will pay a hundred bucks or more for a pair of designer blue jeans when they could get essentially the same thing for $19.99 at a discount store. The brand name jeans are seen as more valuable. The simple reason for this is marketing. 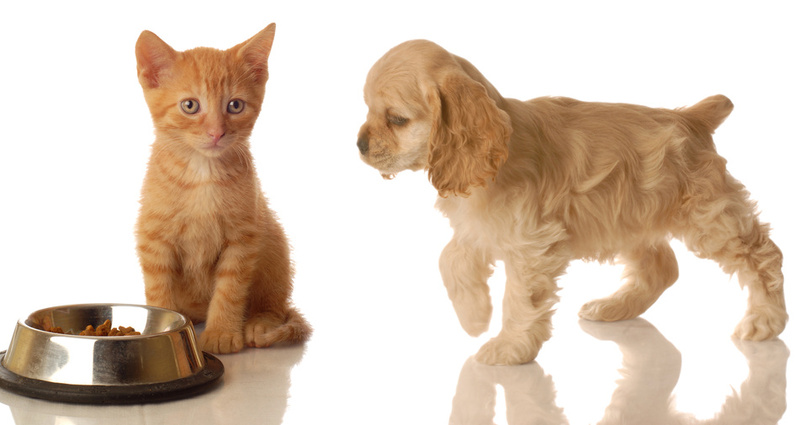 When it comes to perceived value, dogs have benefited from better marketing than cats. Just think of heroic military dogs, hard-working Seeing Eye dogs, and screen stars like Lassie rescuing people from burning buildings. Even the Taco Bell Chihuahua gets to advertise fast food. Cats get to advertise kitty litter and cat food. Rick – There are no cow herding cats either. 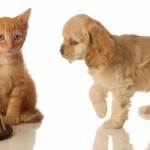 The relative value of cat’s & dogs has a lot more to do with value than just what someone will pay to own one. When someone pays a lot for a dog (or cat) the choice often has a great deal to do with the person’s values than the inherent value of the animal. Sure a cat can have value as a mouser but no farmer I know will pay for one since strays show up all the time. Want a pet to keep you company (a quality of great value but not one you have to pay for)? My childhood dog Rusty, who was given to my family was a great companion. So are the two formerly stray cats my wife and I adopted from the wild. I didn’t pay a cent for any of them. Aside from its actual economic value in terms of the possible services it provides, say a guard dog or shepherd, or the possible monetary returns it can bring by selling its offspring, why would someone buy a very expensive animal just because of it’s pedigree? I suspect that one answer is that the animal is a trophy that one can show off or provide bragging rights (like some men marry trophy wives, build large buildings that will bear their names or buy sports teams). When that is the case, the animal is no longer an individual but a commodity. Of course, the answer is not so simple. There may be something that one admires about a certain breed such as its independence, gentleness, good looks or loyalty that meets someone’s emotional needs. I met a Springer Spaniel a few years ago who bonded with me and had such soulful eyes that, if I was up for adopting a dog, I would pay some good money to one like that. But I would pay for the personality not for the pedigree. For now, I am happy to have two cats with different personalities who have an admirable combination of affectionateness and independence. There is an entirely different question having to do with money spent on cats and dogs that reflects a different kind of values; a question that has to do both with individual psychology and social values. I think it should be of interest to any financial therapist. Recently in my role as a psychotherapist, I have had two very depressed patients come to me. They were both in financial straights, in large part because they had each spent thousands of dollars to relieve the suffering and prolong the lives of very seriously sick pets. When I explored this with them they both expressed the feeling that these were such good animals that they deserved the care. Both of these men had very low self esteem and it became evident that, they would feel even worse about themselves, if the did not do all they could for their animals, even if it hurt them financially. In fact they felt unworthy compared to their idealized pets. In one of these cases I posed the following question. I said that, in this society, there is a great debate over how much money should be spent on end of life care when such a great part of our health care costs are spent in the last few weeks of a person’s life. I said that some people would chose not to have their lives prolonged when it would cost those left behind so much and when there were so many other needs that would not be met as a result. I asked what he would want if he knew he would die in the next few weeks and that it would be hugely expensive to keep him alive. He replied that, if his quality of life during those last few weeks would be reasonably good, he just might want to stay alive and not care about the expense. He would want to be treated by society as he treated his cat. It is a question of values. My daughter wanted a kitten so badly, even though she is terribly allergic to them. I tried every rescue cat in 4 counties (& we near Dallas). She was allergic to all of them. Someone finally told us about a Peterbald. I could not believe how expensive they are! $1600!!! But, I must admit, off all the cats I have ever owned (a lot!) she is the most loving, wonderful cat. And best of all, my daughter can hold & love her and not turn bright red!